Here in St. Andrew Jamaica, we’re experiencing a dry spell, some persons say it’s drought. While we can water some of our plants, those we have growing in the hill will have to wait awhile. 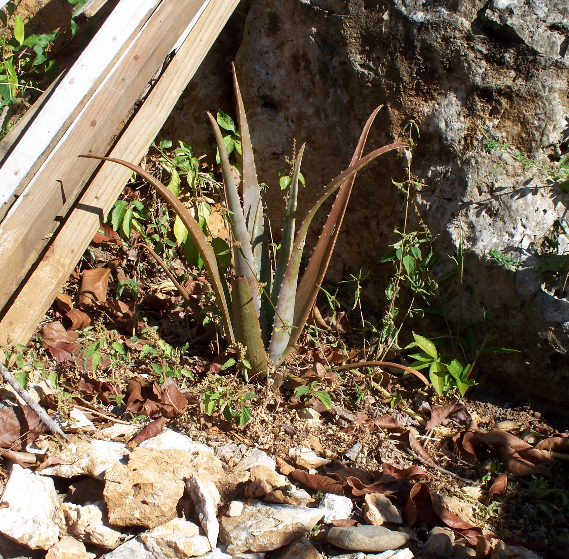 In the mean time, we have some very thirsty plants, namely very thirsty pineapple and Aloe-Vera plants. The leaves of these plants have become slightly red in colour indicating extreme thirst. But these hardy plants can survive this dry spell for another month or so and by that time the rains should come.